Somehow I’d managed to avoid hearing of Black Friday until last year when the pandemonium hit the news headlines. I was saddened to read that this year even more UK retailers are taking part in this farce. The list of participants include companies that claim to have an awareness of ethical issues such as: climate change, workers rights and working conditions. One thing seems certain, the Black Friday plague is spreading rapidly across the Atlantic and is forecast to hit the UK hard and fast, and it is likely to put down roots. Instead of ranting (even more), I’d rather be part of a conversation to see if we can ask ourselves and each other: Do we really need to buy that item? ; Can I really afford it? 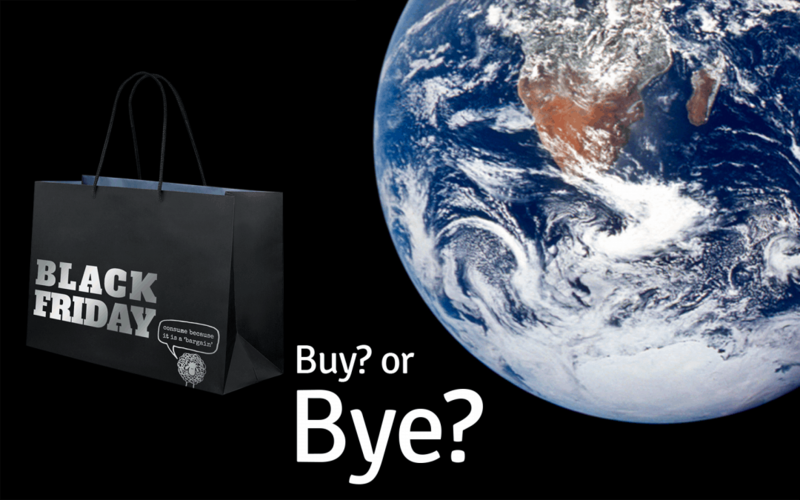 ; Can the planet afford for humankind to continue consuming at the current pace? ; Am I buying this just because it appears to be cheap? 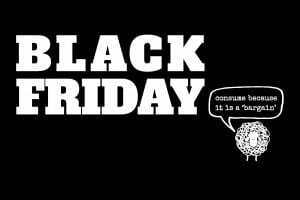 I’ve been aware of the AdBusters’ Buy Nothing Day for many years, but I hadn’t been aware of its connection to Black Friday. 12 years after Buy Nothing Day was conceived by artist, Ted Dave, the anti-consumerist movement has been renamed as Occupy Xmas. This is a reference to the global Occupy Movement. The Occupy Movement encourages shoppers to stop consuming for just a single day. Then after that day off consider buying things that are locally sourced, and that support local independent businesses, artists and crafts people, farmers and food suppliers. If you’d like to re-use the artwork I’ve created, dig into this Google Drive folder. There are a few different options for both pieces of artwork, and I’ve included a Facebook Cover Photo of the main image above. I’d love to see anything you create with it, just add your link in the comments box below.